Congress needs more individuals who understand and know how to apply technology effectively and safely. Within just the last 25 years, we have seen the number of computers on the internet explode from under 500,000 to now about two billion. It’s phenomenal and its only going to increase and advance at a faster pace. In many ways the laws we live under are still trailing the science and technology – in some cases by decades. That has to change. Our lawmakers and especially our Congress needs an upgrade. Case in point: the use of aerial drones for a variety of reasons including entertainment, commerce or public safety. Just within the last year, local, state and the federal government have been rushing to accommodate their use while balancing privacy, commerce and public safety. We need individuals who can look forward and catch our laws up with science and technology. Christine Jones is that person and its one reason why she’s the best qualified candidate to send to Congress from Arizona. Christine understands the vastness and capabilities of technology but she also grasps the rate of change it is having on the culture and our laws. 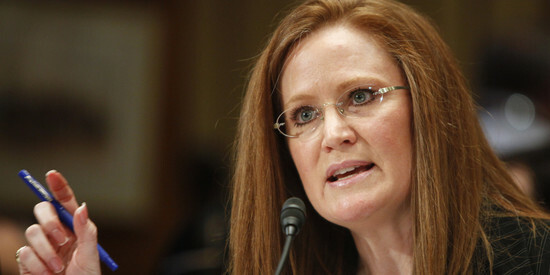 Christine Jones testifying before Congress. As the General Counsel for one of the fastest tech companies, Go Daddy, she was on the cutting edge of integrating technology and the law. She has testified numerous times before Congress advising and educating those writing our laws on how best to do so. She has played a key leadership role in making the Internet safer for children and industries. Christine Jones is also the founder of the Internet Registrar Summit which brought international Internet business leaders together on an annual basis to establish an industry best practices that advocated for laws and guidelines for conduct and usage. Through her leadership, she has played a key role in establishing the Internet as a safe, secure and stable place for all users and especially children. Voters in Congressional District 5 should look ahead to the future. Sending someone to Congress who knows how to marry the law with an ever-changing world of technology would raise the level of expertise in updating our laws. Christine Jones is the right person to serve in that leadership role and it’s why we need to elect her to Congress in November. Reading the latest news story in the Lake Havasu News Herald, it would appear that operative from the rooftop solar industry have caused just enough confusion among ratepayers that the latest proposal to bring economic sense and equity to the energy market will require yet another hearing. Thursday, in accordance with Arizona law, the Arizona Corporation Commission conducted a hearing in Lake Havasu to hear from ratepayers over a request by UniSource to modify its rate structure in order to iron out inequities in the way customers purchase electricity from the UniSource portion of the grid. The UniSource request would allow the utility company to recover the costs of this demand while reducing costs during non-peak demand times. 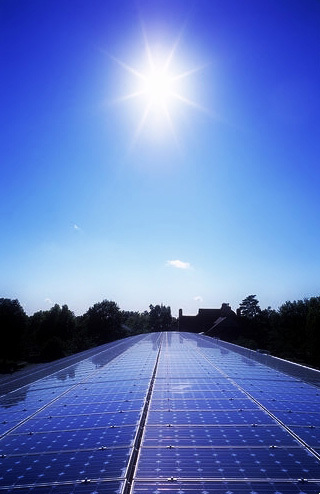 Additionally, the request would also allow UniSource to adjust the price it purchases (credits) energy from rooftop solar users through net metering. Currently, that rate is sold back to utility companies at an inflated rate. That inflated rate is shifted to non-solar users who pay the difference causing an economic inequity. There are far fewer rooftop solar users than non-solar users so non-solar users are burdened by this rate inequity. If approved by the Arizona Corporation Commission, UniSource’s request would not take effect until 2017 and rooftop solar users who purchased or began their leases before June 1, 2015 would be grandfathered into the proposal. The political takeaway of this is that the rooftop solar industry has partaken of this form of corporate cronyism for too long. Because of a nationwide agenda to pick winners and losers in the energy sector, the solar energy industry has been heavily subsidized and given special breaks through policies like net metering. The industry cannot survive without some form of government intervention and when government pulls out and allows the market to adjust, these companies oftentimes go bankrupt leaving consumers on the hook and employees without jobs. Here in Arizona, the battle to keep net metering in place is being waged at town hall meetings like we see in Lake Havasu. When a utility company like UniSource proposes a innovative compromise to allow the free market to adjust properly to the benefit of all consumers, they are met with chaos and confusion orchestrated by the rooftop solar industry. These companies pay their lobbyists to circulate among a community to stoke the fears of ratepayers and senior citizens on fixed incomes. What they won’t tell you is that they want a bigger bite at the apple of government subsidies and special deals. Meanwhile, its the ratepayers who bear the burden – those who cannot afford $40,000 systems and those who were told sunny days were ahead when they leased one. Corporation Commissioners will conduct another hearing in Lake Havasu sometime in the next two weeks. Rooftop solar is one of the greatest technologies one can invest in these days. The cost of the rooftop units are coming down; it allows individuals to move toward self-sustainability; It reduces our dependence on foreign oil; and it even allows individuals to go entirely off grid and operate independent of utility companies. So why would I make a statement about rooftop solar not being conservative? Don’t get me wrong. If I had the means, I’d take my entire home and business off the grid for the reasons I listed above. It comes down to one word – Independence. 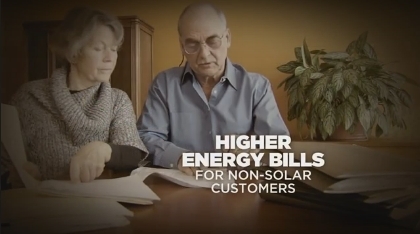 A few years ago, I jumped on the anti-utility bandwagon over net metering and the push to reduce the retail rate. I had to suspend common sense and all those years of economic education to make the argument. I didn’t have the whole picture and the mountains of research to back up that claim. The rooftop solar industry is dependent on taxpayers – especially taxpayers who don’t have rooftop solar units installed on their rooftops. That’s consumers like me who cannot afford to lease a product and service that relies on subsidies from consumers like me. To clarify, rooftop solar is still too expensive that average consumers have to sign a lease over a long-term period in order to make it affordable. The rooftop solar industry is also part of broader political agenda by those typically on the left and in environmental movement who seek to eliminate all non-renewable forms of energy production. This comes at a tremendous cost – especially to consumers. Integral to this political agenda, policy makers and rooftop solar executives have created a climate in order to make an expensive industry appeal to average consumers. It comes down to manipulating the market and creating artificial incentives in order to attract more consumers to its product. Imagine if the top executives of Mercedes, Jaguar and Rolls Royce sent their lobbyists to Washington to obtain taxpayer subsidies so they could attract you into a lease of one of their vehicles? You sign a lease to get into their car. They get a break through some tax loophole and the cost of taking care of our roadways is passed on to the individual who can only afford to drive a 10-year-old used car. The reality is that many solar companies cannot even operate as a viable business without some form of government subsidy. It’s a clear example of corporate cronyism that puts taxpayers at risk or worse, leaves them footing the bill when the company goes bankrupt – as we’ve already seen several times. The rooftop solar has been benefiting from these market manipulations through the policy of net metering. They tell you that you can sell your solar-generated electricity back to the utility companies and pay less for your overall electricity. On a self-interest level, that’s great. But what they don’t tell you is that you’re selling back that electricity (actually, you’re receiving a credit) at an inflated rate and someone else is paying for it – a redistribution of utility costs. Rooftop solar companies don’t own the grid and they don’t pay for the cost and maintenance of the grid. And because utility companies are paying above-market inflated rates, the cost of maintaining the grid is being shifted over to those without solar technology. In effect, the rooftop solar industry has created a whole new level of dependency. They’ve made leasing consumers dependent on them. They’ve become dependent on net metering policy and utility companies have become dependent on non-solar customers. And when a solar company pulls its plant out of a state like what recently happened in Nevada, they leave a whole lot of people without jobs. There’s nothing sustainable about the overall climate and policy in which the rooftop solar industry operates. In a perfect world, everyone would be able to afford solar technology without signing a long-term lease contract with the rooftop solar industry. We wouldn’t have to rely entirely on the grid and utility companies wouldn’t have to worry about covering the cost of maintenance in order to provide a reliable source of electricity. To move toward that perfect world, we can start by eliminating the policies that pick and choose winners and losers through subsidizing and manipulating the energy marketplace. That’s where real independence can begin and energy independence can thrive. Recent legislation providing solar tax credits for residential homeowners has allowed billionaires, corporations, and Wall Street financiers to profit at the expense of working class Americans. Solar corporations leasing panels to home owners, rather than selling, have reaped the financial benefit of solar tax credits intended for home owners to the tune of hundreds of millions. These tax credits to solar companies have boosted dividends for their shareholders at taxpayers’ expense, while panel-leasing home owners get no immediate financial benefit. Worse. Solar tax credits discriminate against lower income communities. Group housing, where many lower income families reside, cannot install residential solar panels, and are therefore not eligible from the get-go for these special tax credits. 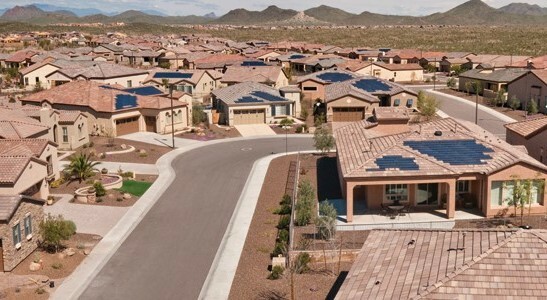 Arizona is subsidizing the solar industry with $1.2 billion on residential solar, and not a dime goes to the state’s lowest income sectors – yet, another reason not to have discriminatory solar tax credits. Further, after residential panels are installed at huge costs to taxpayers, the system of net metering goes to work, also discriminating against the working class. Owners of solar panels can buy power from the grid as needed, or ship surplus power back to the grid when they produce more than they use. Under net metering, solar panel owners, however, avoid paying for the service and repairs to maintain the grid. These costs to maintain the grid are then shifted to non-solar users, placing a higher financial burden on this group, resulting in a disproportionate share of the burden falling on the aforementioned lower income sectors. In Arizona, taxpayer subsidized solar panel ownership has led to the adding of “environmental programs cost adjustment factor” and renewable energy fees on utility bills, raising financial burdens for all non-solar users, lower income families included. For example, the city of Scottsdale has a median family income of over $92,000. Just in the past 5 years, they have had over 1,200 solar installations, which are eligible for state and federal subsidies. In contrast, an area in south Phoenix with 29,000 residents and an average income of $41,000 has only 45 residential solar installations. This is just an example, but the statistics are undeniable: Taxpayer subsidies go to wealthier communities by a factor of 26 times more than lower income communities. Regressive solar tax credits should end immediately. Why have we chosen one industry over another? And worse, we’ve chosen a discriminatory industry that keeps lower income communities down by unfairly forcing them to pay for others solar installation and operation. Under any sun, these policies are just plain wrong. Many people would be surprised to find out that emergency dispatchers often can’t locate them if they dial 9-1-1 from a wireless phone. Earlier this year, the FCC proposed a rule to update their standards, which they estimate could save 10,000 lives a year. This proposed rule will help 9-1-1 professionals and emergency responders locate wireless callers more quickly and accurately. While modernizing the existing FCC standards to correct these clear flaws in our current system seems like a no-brainer to law enforcement and public safety officials, the cell phone carriers are working on a backroom deal with the Association of Public-Safety Communications Officials (APCO), a public safety trade association, to delay this lifesaving rule. People call 9-1-1 because they are in desperate need of help. All too often, these individuals are in medical distress, a victim of a crime in progress, unsure of their location, or otherwise unable to communicate. The time lost as first responders try to locate callers often leads to tragic outcomes of those emergencies. We cannot allow another insider deal to delay the FCC’s original proposed rule by years, costing thousands of additional lives. While we have had so many technological advances in the way we communicate, our ability to find 9-1-1 callers has not kept pace. Luckily, the technology to correct this problem exists today, and the FCC’s proposed rule outlines a realistic two-year path to location accuracy for all wireless 9-1-1 calls. We’re accustomed to backroom Washington deals costing us taxpayer money, but the cost of thousands of lives is unacceptable. We need to tell the FCC to stand firm and reject any carrier-backed deal that would delay or alter the provisions of this lifesaving rule as it was proposed, so our law enforcement officers and first responders can stop searching for callers and get back to saving lives. Tony Rivero currently serves on the Peoria City Council and is a candidate for the Arizona House of Representatives in Legislative District 21. Find out more about Tony at TonyRivero.com. The typewriter, the phone book and the payphone had their day, and the businesses that relied on them either got busy changing or got busy dying. Despite claims made by Arizona Public Service, the utility thus far has not been open to options on net metering. APS has been trying to kill rooftop solar in Arizona, or at least change the rules to have this effect. Rather than innovate or find ways to profit from solar power, APS decries the solar industry and opines that its revenue is heading downward. That’s not the solar industry’s problem. That’s not the ratepayers’ problem. That’s a problem for APS shareholders, and that must not be our state’s concern. The bottom line is that this will impact APS’ bottom line. And what APS is saying is that it doesn’t want to make less money. Rather than try to outlaw smartphones, Bill Gates developed the Windows phone. Phone companies provide cable TV service. Cable TV companies provide internet service. Internet-based companies are carrying television programs and movies. In the private sector, you either innovate or evaporate. 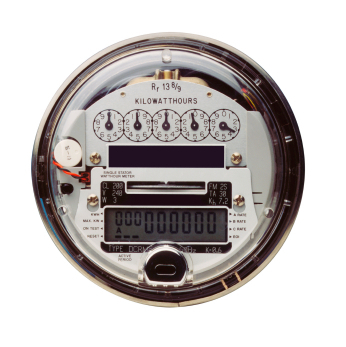 APS executives should have embraced net metering and seen the potential for profits. Now that they have missed the boat, they want to sink it. They have been around for so long and are so set in their ways that they don’t understand that what’s good for APS isn’t necessarily good for Arizona. APS enjoys a healthy profit margin. Its profits have increased by more than 50 percent since 2008. Its long-term financial forecasts cite solar energy as competition that could impact profits. But instead of trying to figure out a long-term solution, APS is trying to convince the Arizona Corporation Commission to change the rules so its shareholders will continue to see generous dividends. That’s not capitalism; that’s cronyism, and I firmly believe those serving on the ACC will side with energy choice and ratepayers and stand against a utility that would rather change the rules than change its ways. Indeed, APS’ efforts to crash the future of solar power in this state are the very reason I applauded the ACC for taking the first steps toward more utility competition in this state. 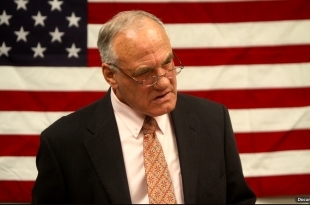 Former U.S. Rep. Barry Goldwater Jr. is chairman of the group Tell Utilities Solar Won’t Be Killed. He can be reached at dontkillsolar@gmail.com. During their last earnings call, as reported in the Arizona Republic, Arizona Public Service (APS) CEO Don Brandt was asked about the financial impact rooftop solar could have on APS if solar’s popularity continued to soar. Just like the public education monopoly, the APS utility monopoly is concerned that more energy efficiency and choice, specifically more rooftop solar, is starting to eat into its profits and revenue growth. APS clearly disclosed this to its investors when it revealed that between now and 2015, it expects its electricity sales to grow by less than 1% even though its customer base will grow 2% annually. The reason? APS customers are investing in more energy efficiency with rooftop solar being the primary technology of choice. Frankly, how APS addresses this with investors is no concern of mine. 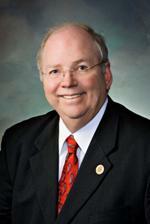 And neither should it concern the Arizona Corporation Commission. A more innovative future with more energy choices for Arizona consumers should not and must not be dictated by the utility’s bottom line. By that same logic, we would have harnessed the Internet because of the challenge it posed to newspapers and many other technologies. But there appears to be a far greater threat to APS’ stock price (PNW) on the horizon and that, fortunately for consumers, is a healthy competitive change. Because of their blatantly naked attempts to kill independent solar in Arizona, along with other reasons, the Arizona Corporation Commission is rightfully looking at opening up more utility competition in Arizona. In fact, they took the first step down this path last week. Kudos to Chairman Bob Stump and Commissioners Gary Pierce, Brenda Burns, Susan Bitter Smith and Bob Burns for their actions. Clearly, APS’ effort to thwart more solar choice in Arizona is exactly why we need more competition in Arizona. Choice and competition – these are concepts all conservatives can rally behind. And it is one all Wall Street stock investors will surely be watching. The bottom line for consumers is we simply cannot have a better energy future in Arizona if the primary focus is on APS profits rather than innovation and competition that always best serves the marketplace. PHOENIX — Picture a typical public school classroom: Rows of students facing a blackboard, with a teacher lecturing. It’s the same scene in 2011 as it was in 1911 – and, in a world of laptop computers, smartphones and iPads, it’s wildly out of date and ineffective. But that is changing. In A Custom Education for Every Child: The Promise of Online Learning and Education Savings Accounts, Goldwater Institute Senior Fellow Dan Lips examines how technology can be combined with the newly created Education Savings Accounts to help parents create education solutions that challenge their children and help them prepare for the real world. In 2011, the Arizona legislature adopted Education Savings Accounts, which give special-needs K-12 students state money for educational services tailored to their individual needs. The report calls on Arizona lawmakers to expand the savings accounts program to all Arizona students, and for legislatures across the country to adopt Education Savings Accounts for all students. Butcher added that the growth of online learning solutions changes the discussion of choice in education – the conversation moves from choosing a school to choosing individual services that specifically meet a student’s needs. The breadth of digital learning programs extends from full-time online virtual schools to occasional online instruction that supplements a student’s traditional coursework. The benefits include improved academic achievement and a better overall learning experience for students. One Arizona school is leading the way. In 2011, Carpe Diem Academy in Yuma was named one of the best high schools in the nation by U.S. News and World Report. Carpe Diem uses a “blended-learning” approach in which students receive half of their instruction from a computer-based learning program and half from a traditional teacher-classroom environment. Click here to read A Custom Education for Every Child: The Promise of Online Learning and Education Savings Accounts. The Goldwater Institute is an independent government watchdog that develops innovative, principled solutions to issues facing the states.